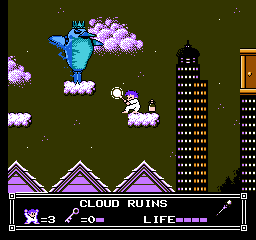 This hack attempts to increase the usage of the WAND and to improve the overall gameplay of the beloved cult classic Little Nemo - The Dream Master. 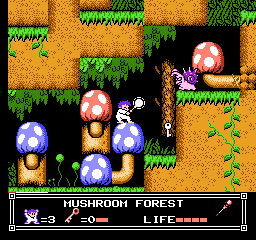 This is accomplished by giving the player the WAND weapon from the start, streamlining the action-platforming aspects of the gameplay, and reducing the cumbersome animal-riding parts of the game. Various re-balancing adjustments and improvements have been made to the game as well. 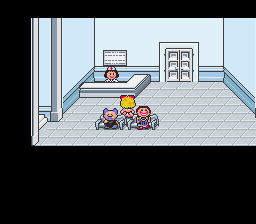 I’ve always felt that the WAND weapon was introduced very late into the game and even then, the amount of opportunities you are given to use the WAND was very little also. 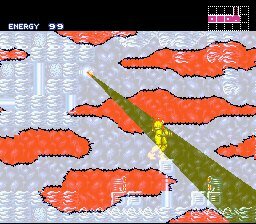 In stage 8, when you are finally given the WAND, you are under the impression that you’ll be using the WAND weapon quite a bit for the enemies. 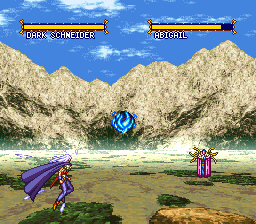 Instead, the game continues to throw obstacles at you in which you are required to continue using animals to overcome, further reducing the usage of the WAND to just merely at the bosses. 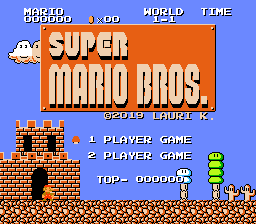 This hack addresses the issue and attempts to fix this by giving the player access to the WAND from the beginning, and also reworked the levels to utilize it much more than before. 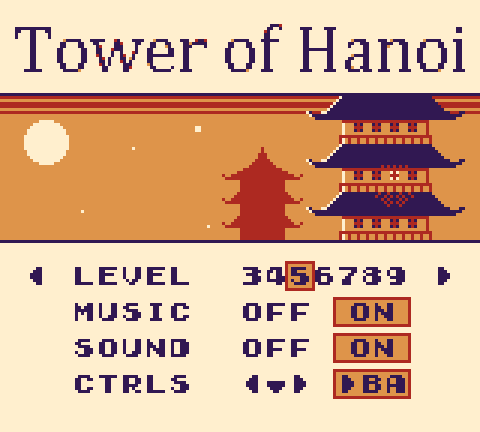 Besides the addition of the early WAND activation, this hack also attempts to streamline the levels to give the player a better overall experience. 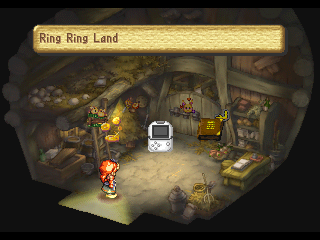 In the original game, many levels had overly tedious keys fetching quests. This hack eliminates that and reworks the levels with several interesting twists. 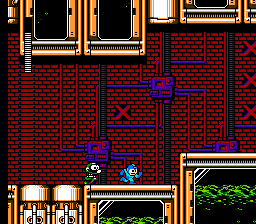 Other confusing aspects of the game has also been eliminated/changed such as confusing layouts and strange platform/item placements. Several levels has also been streamlined to play more like an action platformer without the key fetching quests and/or the overdone animal-riding. 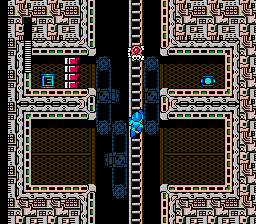 I’ve also expanded MANY empty/unused areas of the game to give each level a more ‘full’ experience. 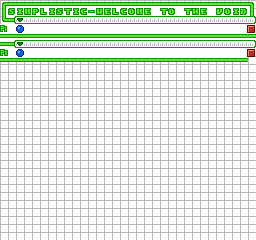 Each level’s difficulty has now been adjusted and is now incremented fairly. 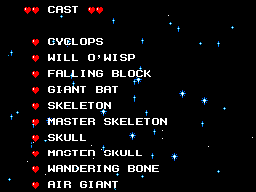 I’ve made the levels more about challenge of platforming/WAND-attacking skills instead of cheap hits and/or deaths. 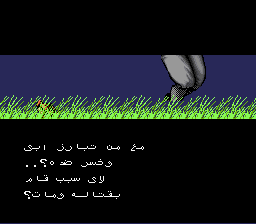 I’ve added many bonuses/secrets in the game that will require advanced skills for this game to reach, and challenges will be pushed to the maximum in Nightmare Land. Hope you all give this a try and enjoy this hack! 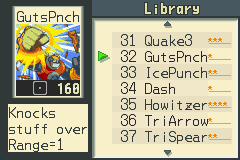 Well, it was going to be done at some point. 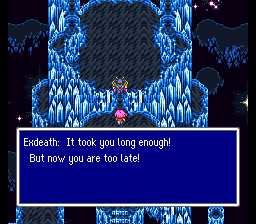 Presenting a complete port of all text from the English GBA version of Final Fantasy V over the SNES version. 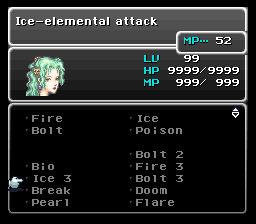 All field text, battle text, item, monster and spell names have been ported over the RPGe fan translation using noisecross’ excellent text editor. 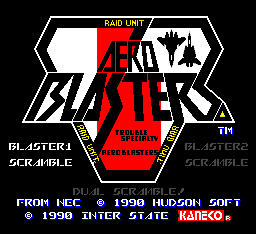 Sacrifices had to be made to cope with space limitations, but an attempt was to be creative in naming rather than using lots of jarring abbreviations. 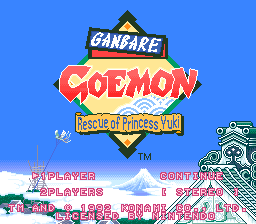 Note - This hack is fully compatible with your save data, however all names are stored in SRAM (for whatever reason), so Krile may be named Cara in the menu. 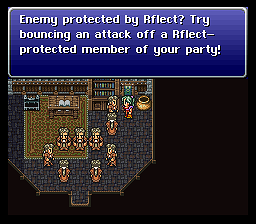 The rampant runaway success of Final Fantasy on the NES left Square, Inc. in a bit of a spot. 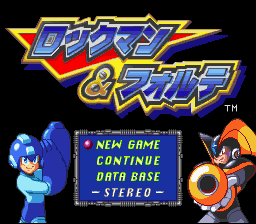 They had a couple more games ready for the Famicom, but the Super Famicom was right around the corner, and the localization process for these two NES games was just in the planning stages. 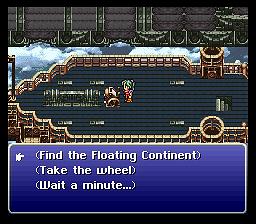 Funds seem to have been reallocated to Final Fantasy IV’s localization at some point, and II and III were simply skipped over. 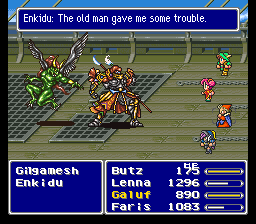 Thus, when Final Fantasy IV came out here in the USA, they renamed it ‘Final Fantasy II’ and moved on. 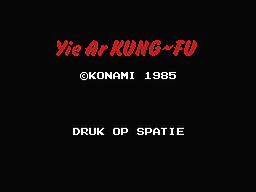 This modification to that game was originally a lot more daring in its alterations to the script, due to the patch author’s misinterpretation of what was available, FF Fan Translation-Wise, at the time; what was and was not acceptable seemed apparent, but then, the medium of game modding doesn’t really have acceptability guidelines, in the long and short of it. 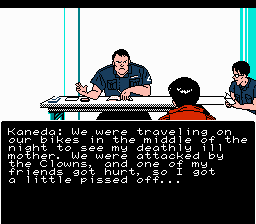 Either way, this final revision to Stand Guard is intended to tone down the whimsical nature of previous versions, removing offensive language, restoring a lot of lines to the Woolsey version of the line, and generally cleaning up the text, with regard to allowing a player to name someone a name with 6 characters. Character names have mostly been reverted to Woolsey, with the exceptions of Dean, Sean, and Laura. It was too spicy, got it. This is Stand Guard Medium, or Mild if you will. Zombies Ate My Neighbors: The Sequel has been released! 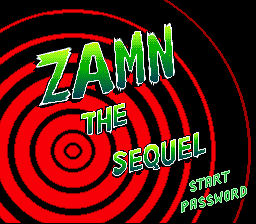 Zombies Ate My Neighbors: The Sequel is a project started eight months ago and to which four people have contributed. 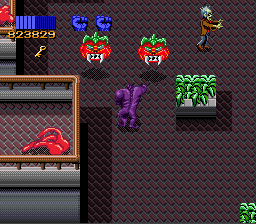 The hack is meant to be a direct sequel to the original game, similar to what Super Mario Bros.: The Lost Levels is to Super Mario Bros.
Kelly Flock, the director of the original ZAMN, is pissed at Zeke and Julie for beating the game he put so much effort into, so he has taken over the late Dr. Tongue’s army of monsters to exact his revenge on the protagonists and finish what Dr. Tongue started. 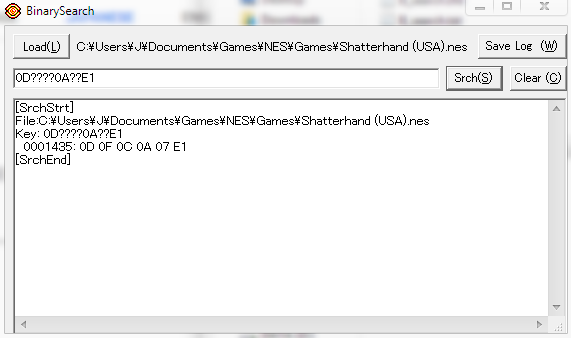 The Readme file contains additional information, and don’t forget to check the revelant link below to watch the release trailer! 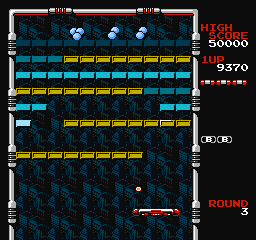 Arkanoid Revised is a hack of the Japanese version of Arkanoid released for the Famicom. Arkanoid was originally released for the arcades and it featured an analog wheel controller for rapid movement. Both the Famicom and NES releases supported a similar controller, called the “Arkanoid Controller”. 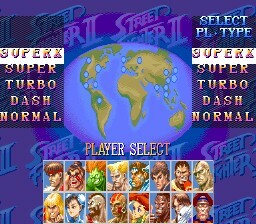 Few people had this and had to use the regular d-pad for movement, which is very limited, making the game nearly impossible to complete without cheats. 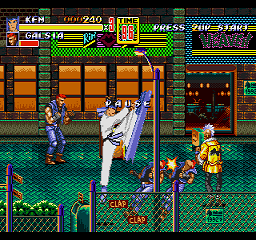 The hack addresses this situation by making the unused B button as a sprint modifier. 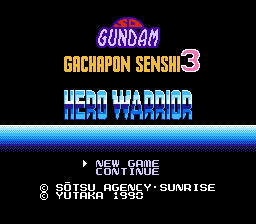 Along the way bugs and inconsistencies with the gameplay were detected so those were changed to make the game more enjoyable. 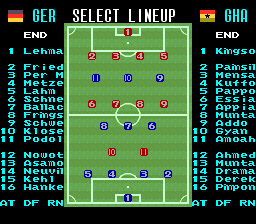 For example, the cheats which always felt like a necessity were incorporated into the game design more properly. 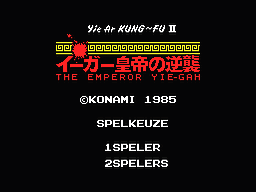 The continue cheat has been converted into a continue option on the main menu, while the level skip cheat has been converted into a stock of warp pills, usable at any time by pressing the SELECT button. This spends a warp pill in stock and the exit gate opens. 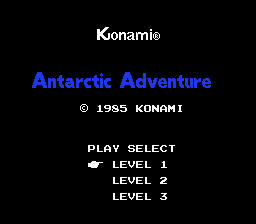 There are two bugs fixed too: now pausing also works at the start of each level, not just when the ball has started moving, and the player can use the continue option even after watching the demo. 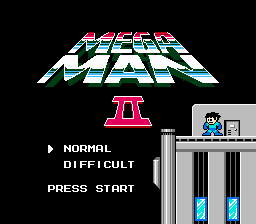 Previously if you watched the demo the continue cheat would be lost, sending you back to level 1! 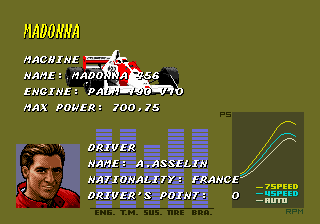 And last but not least, a lot of the graphics have been improved! 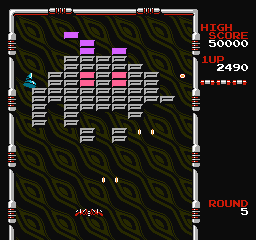 New backgrounds, stylistic color choices for the bricks and new graphics for the normal, big and fire vaus. 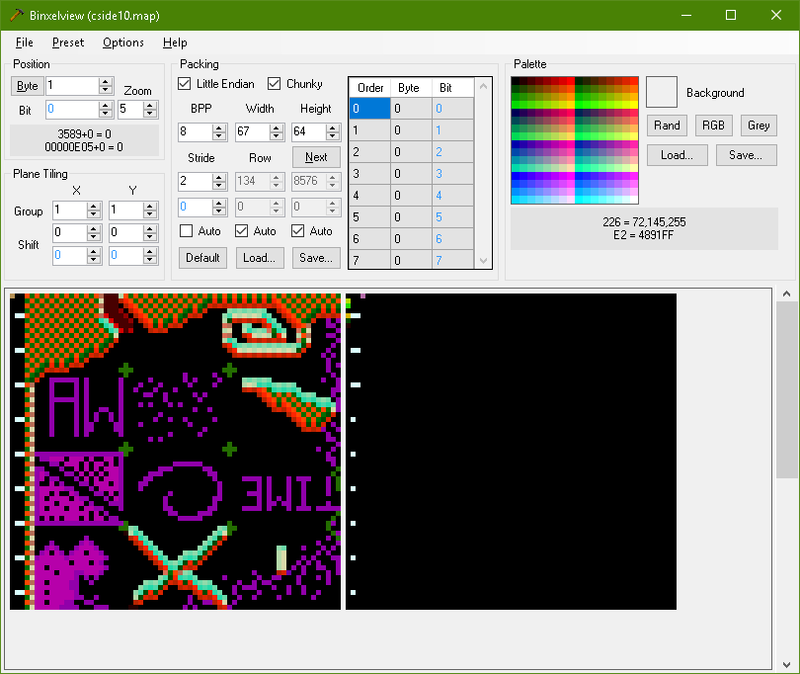 Game logic had to be adjusted to allow for a different tile on the vaus ship, as the center tile was previously repeated 4 times on the big vaus.